2, Waterglades Close, Etruria, Stoke-on-Trent, ST1 5GE. 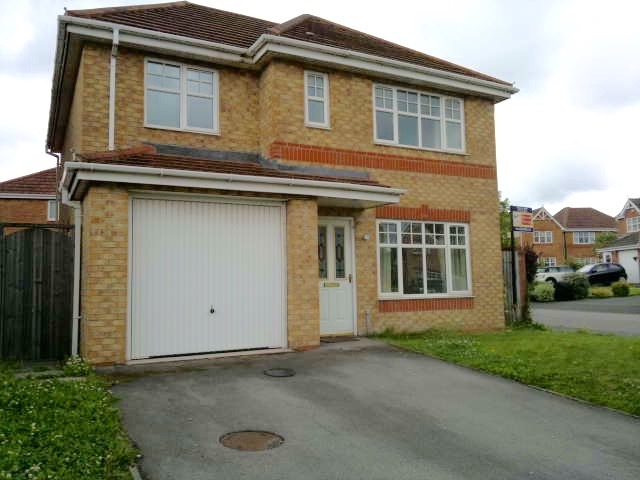 An Unfurnished Modern 4 Bedroom Detached House. Pleasantly surrounded by similar properties. ACCOMMODATION:Entrance Hall-Lounge-Dining Area-Kitchen-Utility-WC-Stairs to First Floor-4 Double Bedrooms-Ensuite-Bathroom. LOCATION:Very short walk to Festival Park. Easy access to Hanley, Newcastle, Stoke, A34, A500, A50, M6. OUTSIDE:Drive, Single Garage, Paved Rear Garden. 785.00.RENT PER CALENDAR MONTH EXCL. (Payable by Standing Order).